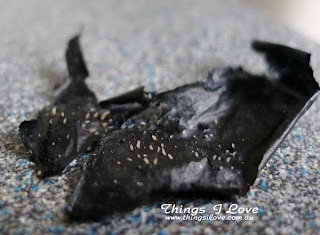 I've always suffered from blackheads. They've pretty much made a permanent home on my nose and not much I've done have managed to move them off. So weekly (or fortnightly when I'm lacking time) extractions are a must. My favourite way of doing this safely so that doesn't damage skin is to soften the skin first to allow the pores to open up and then apply a peel off mask to remove those pesky things. There are two ways to soften the skin and open the pores. steam the face over a basin of hot water for 5 minutes. The same effects can be achieved with a hot shower so this is a great after shower . applying a salicylic based toner with a cotton pad to help dis-lodge the skin and wait for this to dry. Try Clean & Clear Essentials Oil-Control Toner (I'm currently alternating between this and a home-made 4% salicylic 10% lactic acid toner to do this job). I'd recommended applying the toner only to areas where there is actually blackheads (so T-zone for most of us) and not the entire faces as it can irritate skin and be sure to avoid the eye area. 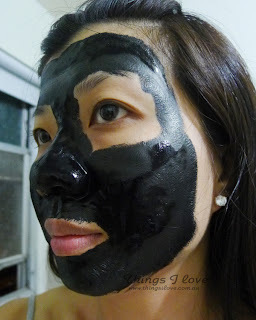 I then apply a thick layer of peel-off mask (I've been using Korean brand Rolanjona Black Peel-Off Mask) onto only the areas with blackhead so when dried, it can easily be peeled off. You can also use Biore Ultra Deep Pore Cleansing strips which is less messy and also works well. I don't use the Rolanjona black mask on the entire face anymore as I find the mask dries and stick to skin very strongly and it actually hurts to peel if off from cheeks and is far too harsh on sensitive skin areas. First time use: I applied to the whole face - ouch! I now only use on the nose and chin area. After waiting 15 minutes for the mask to dry, peel the product off and watch all the gunky stuff come off with the mask/strip! When I haven't had a weekly removal, I repeat the mask application process to remove additional blackheads still stuck on my skin. This doesn't completely remove all the blackheads, but it does clear over 80% of them and have me looking presentable for the week until the next extraction session. To prevent future blackheads and blemishes, I use the salicyclic toner atterwards to help control oil flow and keep the skin clear. Super by Dr. Nicholas Perricone Acne Treatement is also a great post extraction treatment with as it contains 1% salicyclic acid, malic acid, alpha lipoic acid (ALA) for texture improvements and anti-oxidant quercetin from green apples to exfoliate and fade light blemish marks and help reduce the occurrence of blackheads and whiteheads. Clean & Clear Essentials Oil-Control Toner 100ml RRP A$6.49 at supermakets, Priceline and selected pharmacies. Biore Ultra Deep Pore Cleansing strips RRP A $6.99 also at supermarkets, Priceline and selected pharmacies. Rolanjona Black Peel-Off Mask 25g per sheet in pack of5 can be bought for approx US$10 at ebay stores. In Asia, it's readily available in Watsons and other chemists. Super Acne Treatement* 30ml RRP A$76.95 at Kit Cosmetics in selected Myer stores and Kit Cosmetics online. Products marked * were provided for consideration. All other mentioned products have been bought or gifted to me by great friends. @Celina - I hate blackheads but nothing I've done so far prevents them so I can only go full force into attacking them! That mask is a bit harder to get in AU though... you may need to bribe your HK friends to pick some up for you. That extraction pic was seriously both gross and awesomely satisfying all at once! People have been raving about a black peel off mask that you can get from the Japanese store Daiso (which there are now a few in Australia). I wonder how that compares to your Korean one? @Sarah - haha, I know, it feel so satisfying when I use the peel off masks or a tweezer to get rid of those disgusting blackheads. I haven't seen or checked out the ones in Daiso so am not sure if it's the same. When I next pay Daiso a visit, I'll go and look it up. oh wow great review, im always looking for something to remove blackheads (: it seems like an effective product!! To be quite honest, I haven't seen it being sold anywhere in Melb asian beauty boutiques. The one I have was from a gf who bought it when she was over in Asia. Your best bet is probably to hunt it down in Ebay. If I ever found a local seller, I'll be sure to post here and let you know.